#ONLYATNM Only Here. Only Ours. Exclusively for You. 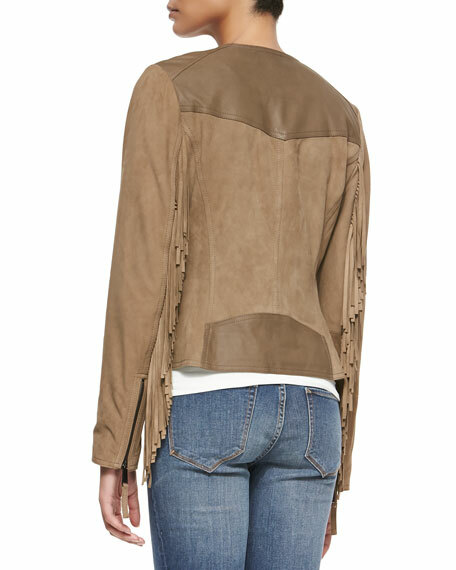 Suede jacket, featuring fringe and leather panel detail. Approx. measurements: 19.5"L from shoulder to hem, 21.75"L from center back to hem.